Sponsored by The Sustainable Forestry Initiative Inc. Apply the new Alternative Compliance Path to get LEED credits for using legal, responsible, and certified-sourced forest products in projects. Discuss SFI standards as mechanisms for sustainable forest management, verified supply chains, and responsible procurement of forest fiber. Explain the importance of verifying legal forest products to prevent widespread illegal logging and deforestation. Examine the connections between using forest products as a desirable, renewable resource, and protecting and expanding forests, through research, conservation, and strong community programs. Document SFI forest products for the LEED Alternative Compliance Path. Architects and builders choose wood because it is a superior building material. Wood is a beautiful, renewable resource that is easy to work with. It also offers numerous environmental benefits. 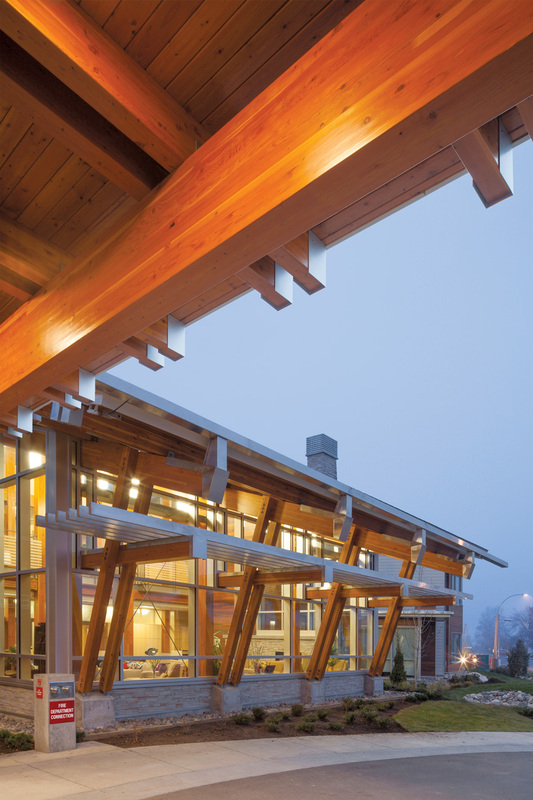 Using wood in green building projects supports many of the benefits offered by responsibly managed working forests, including clean air and water, biodiversity, habitat for wildlife, and employment for local communities. Now, a new LEED Alternative Compliance Path (ACP) for forest products will strengthen the positive impact of responsibly managed working forests in the construction sector. The U.S. Green Building Council (USGBC) Leadership in Energy and Environmental Design (LEED) program is one of the most powerful drivers of sustainable building in the United States. The Kordyban Lodge is the winner of the first SFI Wood Design Award as part of the 10th Annual Wood WORKS! BC Wood Design Awards. The lodge contains wood products from certified sources, the majority of which are certified to the SFI Standard, and provides a comfortable and peaceful home away from home for cancer patients and their caregivers. The stunning wood building spans 25,000 square feet and includes 36 beds, a meditation room, lounge, family room, massage therapy room, and more. Neale Staniszkis Doll Adams (NSDA) Architects. In April 2016, the USGBC announced a LEED ACP that greatly expands the recognition of legal, responsible, and certified forest products to contribute to LEED credits. In the past, only forest products certified by the Forest Stewardship Council (FSC) were recognized in LEED. The new ACP pilot adds the Sustainable Forestry Initiative (SFI), the American Tree Farm System (ATFS), the Canadian Standards Association (CSA), and other forest management standards that are endorsed by the international Programme for the Endorsement of Forest Certification (PEFC). The new path applies to all LEED v4 rating systems, including Homes v4, and to all LEED 2009 rating systems. 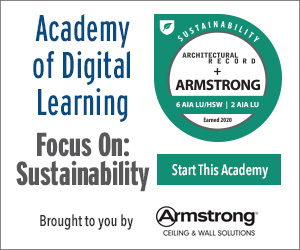 This course explains in detail how architects can use the new ACP pilot credit to count forest products certified to the SFI Standards toward LEED points. Pilot credits allow LEED projects to achieve existing credits using approaches that are not part of the existing rating tool. An ACP pilot is used to test and refine new approaches to LEED credits. If adopted, it becomes part of the LEED rating system. This course also outlines how the change will encourage environmentally responsible forest management and the use of forest products in innovative, sustainable buildings supported by LEED. In addition, the course will explain the use of SFI’s three major standards: for managing forests, for responsibly procuring fiber, and for tracking forest fiber content throughout the building materials supply chain. Wood is one of the most commonly used building materials in the world so these standards and the new LEED path are important components in efforts being made around the world to use natural resources more wisely, protect the environment, and strengthen the communities that will take sustainable building into the future.